When the owner of an asset, especially a software asset, contracts to provide a capability to a customer incorporating a use of that asset, the work involved might require modification or enhancement of that asset. When the contract permits such work, without transferring ownership of the asset itself, performing it is relatively straightforward, provided the work can be done in a manner compatible with any pre-existing or anticipated future other uses of the asset. But some contract restrictions can cause the owner of the asset to incur technical debt. A power adaptor/converter for international travelers with U.S. standard equipment. 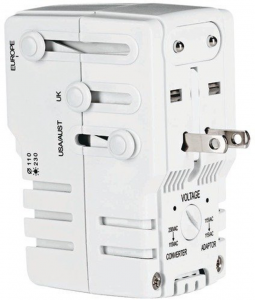 This device provides conversion for both hardware connection and voltage supplied. The wide variation in electric power standards worldwide can be viewed as a technical debt. Someday, in the probably distant future, a world standard will emerge and that debt will be retired. Until then, adaptors like these are travel necessities. But some contracts restrict such work. For example, for a government customer, ownership of the work performed might be required to transfer to the government customer. Potentially, all of the work might be classified as a national secret. In either of these cases, to retain control of the asset, the owner/contractor arranges to perform all of the work outside the periphery of the asset. To accomplish this, the owner/contractor might interface to the asset through an adaptor that can be transferred to the government customer, or which can be classified as secret as the case may be, thereby insulating the original asset from these ownership restrictions. The result is tolerable after one such contract is completed. But over time, as the number of adaptors increases, they become a form of technical debt. Each must be maintained against any changes in the original asset. Moreover, making changes to the original asset can become a project of such scale that the temptation to create a static “clone” of the asset for each customer is irresistible. When that happens, any technical debt already present in the asset is also cloned. And any work performed to correct defects in the asset must be performed on each affected clone. The problem is more general than suggested above. It also appears in the case of software offered for multiple platforms, or multiple versions of a single platform. But it gets worse. Suppose the maintainers decide to update the asset to make it more extensible, or to make it more maintainable. That update, including all testing and documentation, must then be performed on each clone. If the asset owner elects not to update all clones, then the clones will begin to diverge from each other. Engineers performing tasks on one of the clones must then have knowledge of how it differs from other clones. If a new defect is discovered, it might or might not be present in every clone. Implementing a new extension or other modification might not be possible in all clones, or it might have to be implemented differently in some clones. Life can get very complicated. Organizations entering into contracts of this kind would be wise either to include language limiting their obligations to maintain the original asset against any changes, internal or external, in its ability to perform its functions. Or they might include an explicit statement of the parties’ intentions relative to financial support for any continuing obligations to maintain that asset. Organizations offering products for multiple platforms would be wise to consider as strategic the management of technical debt that arises from platform multiplicity. Sound management of this form of technical debt can extend their ability to support multiple platforms, which can dramatically increase returns on investment in the core asset. Some projects undergo budget depletion exercises when their budgets are reduced, or when there’s evidence that the funds remaining will be insufficient to complete the work originally planned. Formats vary, but the typical goal of these exercises is downscoping — removing, relaxing, deferring, or suspending some requirements. Since funds are limited, downscoping is often executed in a manner that leads to technical debt. The Old River Control Complex on the Mississippi River. Built and operated by the US Army Corps of Engineers (USACE) the Old River Control Complex is used for controlling the flow from the Mississippi into a distributary known as the Atchafalaya River. Were it not for this facility, the Mississippi would long ago have rerouted itself into the Atchafalaya, which has a much steeper gradient to the ocean. Since that change would have deprived New Orleans and all the industrial facilities along the lower Mississippi of access to the water and navigational channels they now enjoy, USACE maintains a complex of flow control facilities to prevent Nature taking its course, and to prevent flooding along the lower Mississippi. The industrial facilities of the lower Mississippi constitute a technical debt, in the sense that their existence is no longer compatible with the “update” Nature is trying to deploy, in the form of rerouting the flow of water from the Mississippi to the Atchafalaya. Because our national budget doesn’t allow for repositioning the city of New Orleans and all the industrial facilities from the lower Mississippi to somewhere along the Atchafalaya, we’ve elected to redirect the flow of water from the course Nature prefers to a course more compatible with the existing industrial base. 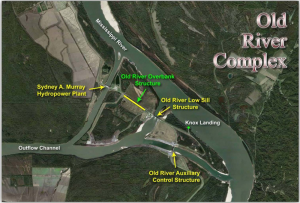 Operating and maintaining the Old River Control Complex, together with a multitude of levees, dredging projects, and gates throughout lower Louisiana, are the MICs we pay for the technical debt that is the outdated position of the city of New Orleans and its associated industrial base. Here’s an illustrative scenario. At the time downscoping begins, the work product might contain incomplete implementations of items that are to be removed from the list of objectives. 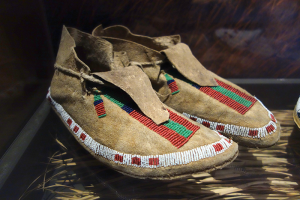 A most insidious type of debt, and most difficult to detect, consists of accommodations contained in surviving artifacts that are no longer needed because the items they were intended to support have been cancelled. This class of technical debt is difficult to detect because the affected system components appear to be merely overly complicated. Recognizing it as a residual of a cancelled capability requires knowledge of its history. Unless these artifacts are documented at the time of the downscoping, that knowledge may be lost. Other items of technical debt that arise from budget depletion include tests that no longer need to be executed, or documentation that’s no longer consistent with the rest of the work product, or user interface artifacts no longer needed. When budgets become sufficiently tight, funds aren’t available for documenting these items of technical debt as debt, and the enterprise can lose track of them when team members move on or are reassigned. In some instances, budget depletion takes effect even before the work begins. This happens, for example, when project champions unwittingly underestimate costs in order to obtain approval for the work they have in mind. The unreasonableness of the budget becomes clear soon after the budget is approved, and the effects described above take hold soon thereafter. Budget depletion can also have some of the same effects as schedule pressure. When the team devises the downscoping plan, it must make choices about what to include in the revised project objectives. In some cases, the desire to include some work can bias estimates of the effort required to execute it. If the team underestimates the work involved, the result is increased pressure to perform that work. With increased pressure comes technical debt. See “With all deliberate urgency” for more. A policy that could limit technical debt formation in response to budget depletion would require identifying the technical debt such action creates, and later retiring that debt. Because these actions do require resources, they consume some of the savings that were supposed to accrue from downscoping. In some cases, they could consume that amount in its entirety, or more. Most decision-makers probably over-estimate the effectiveness of the downscoping strategy. Often, it simply reduces current expenses by trading them for increased technical debt, which raises future expenses and decreases opportunities in future periods. [MacFee 1987] John MacFee. “Atchafalaya,” The New Yorker , February 23, 1987. Available: here; Retrieved: February 5, 2018. Most of the non-technical precursors of technical debt that afflict in-house work also afflict outsourced work. For example, the planning fallacy affects internal planners, but it also afflicts the bidders for contracts offered by the enterprise in the context of outsourcing. As described in “Unrealistic optimism: the planning fallacy and the n-person prisoner’s dilemma,” Boehm, et al., [Boehm 2016] call this the “Conspiracy of Optimism.” But outsourcing engineering work can introduce pathways for incurring technical debt that are specific to outsourcing. 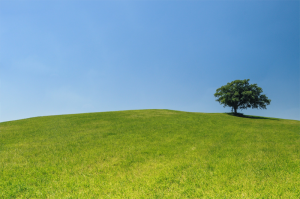 Green fields. Greenfield outsourcing, also known as startup outsourcing, is the outsourcing of activity that has never been performed within the enterprise. It’s especially tricky with respect to technical debt formation, because much of the expertise necessary to perform the work being outsourced is probably not resident within the enterprise. That void in enterprise expertise makes for difficulties in managing technical debt in the outsourced artifacts. The risks of incurring technical debt associated with outsourcing are inherently elevated, even setting aside those factors that also afflict in-house activity. When most enterprises contract for development of systems or software, the criteria for acceptance rarely include specifications for maintainability or extensibility. This happens, in part, because such qualitative specifications are so difficult to define quantitatively. That’s why the condition of deliverables relative to maintainability and extensibility is so variable. Outsourced deliverables can best be described as bearing an unknown level of technical debt. The root cause of the problem is likely a lack of a universally accepted metrics for quantifying technical debt [Li 2015]. That’s why it’s difficult to specify in the vendor contract an acceptability threshold for technical debt. And since the consequences of the presence of technical debt in deliverables potentially do not become clear during the lifetime of the contract under which the debt was incurred, years may pass before the issue becomes evident, which complicates the task of understanding the root cause of the problem. In what follows, I use the term vendor to denote the organization to which work has been outsourced, and the term enterprise to denote the organization that has outsourced a portion of its engineering work. The retained organization is the portion of the enterprise directly relevant to the outsourced work, but which was not itself outsourced. Among the mechanisms that lead to incurring technical debt in the outsourcing context are the six mechanisms sketched below. Gauging the size of these effects by auditing deliverables or by auditing the internal processes of the vendor could be helpful in managing levels of technical debt arising from outsourcing. This list isn’t intended to be exhaustive. Quite possibly other phenomena also contribute to technical debt formation in the context of outsourcing. Over time, the enterprise can expect erosion of the engineering expertise needed to manage, evaluate, understand, or, if need be, to re-insource (or backsource) the work that has been outsourced [Willcocks 2004][Beardsell 2010]. Typically, staff who formerly performed the outsourced work do move on to other work, voluntarily or not, either within the enterprise or elsewhere. Indeed, cost savings from terminations and employee buyouts often accompany — and economically justify — outsourcing decisions. But even if the enterprise continues to employ the people who formerly performed the work that is now outsourced, those employees, filling new roles, can become less familiar with the current work and therefore less able to perform it. And since they are now engaged in other assignments, their availability is limited. In the public sector, the organizations that perform the outsourced work exacerbate this phenomenon by recruiting from the agencies they serve [Kusnet 2007]. In manufacturing, Kinkel et al. suggest that, paraphrasing, outsourcing disturbs the formation of internal competence [Kinkel 2016]. In short, outsourcing engineering efforts can erode the ability of the enterprise to perform internally the work that is outsourced, or to monitor or evaluate it when performed by the vendor. Consequently, the enterprise is less able to monitor, evaluate, or retire any technical debt that accumulates in the outsourced work products. A policy that would address this risk is one that would (a) require retained organizational capability sufficient to assess the effect on technical debt of any outsourced engineering work; (b) require attention to technical debt issues in any financial models used in making the initial outsourcing decision; (c) require financial models to include the effects of technical debt and controlling technical debt when deciding whether to extend outsourcing contracts with vendors. Most multi-vendor efforts use a separation-of-concerns approach [Laplante 2007] to dividing the work. That is, each vendor is empowered to use any approach it can, consistent with its own contract and statement of work. In some cases, two or more vendors might have overlapping needs that cause them each to produce similar capabilities as elements of their respective deliverables. Sharing of their results is of course possible, but unless both of their contracts anticipate the need for sharing, sharing is unlikely. Failure to share those results that could have been shared can lead to incurring unrecognized technical debt. With regard to the efforts of a single outsource vendor, it’s possible that different teams or individuals working for that vendor might unwittingly create elements with overlapping capabilities. That duplication could lead to technical debt, or it could constitute technical debt in itself. For example, two teams working for the same vendor might have similar testing needs, and might develop testing tools independently. As a second example, in a version of stovepiping combined with temporal displacement, suppose that one team is unaware that a previous effort for the same customer had already developed a capability that it now needs. That team then might re-create that already-existing capability. Stovepiping within vendors is less likely when the vendor operates under a single vendor technical lead, and the enterprise interacts with that single lead through a single in-house technical lead. When either side of the relationship is managed through multiple contacts, stovepiping is more likely, and new technical debt is more likely to form. Unless specified in the agreement between the vendor and the enterprise, staff turnover or reassignment within the vendor organization, between one version of the product or service and the next, can lead to technical debt in just the same way that turnover in-house can lead to technical debt. With outsourcing, however, the vendor has little internalized motivation to control this phenomenon, and the enterprise likely has less control—and less awareness—of staff assignments within the vendor organization than it does within the enterprise. Thus, loss of continuity in the outsourced engineering staff is both more likely and more likely to lead to technical debt. Lack of coordination between engineering approaches and business planning can cause engineers to create and deploy artifacts that must be revisited later, when they learn of business plans that were unknown to the engineers at the time they produced those artifacts. See “Failure to communicate long-term business strategy.” This scenario is more likely, and possibly irresolvable, when the enterprise withholds its long-term plans from the outsourcing vendor to protect its strategy. In some instances, commonly called startup outsourcing or greenfield outsourcing, the work being outsourced has never been performed within the enterprise [Delen 2007]. In these cases, typically, the enterprise must then reassign existing employees or hire new employees to interface with the outsource vendor. These roles are analogous to remote supervisors, except that the teams they supervise are not employees of the enterprise. Hiring and retaining people for these roles can be difficult, because of startup challenges both within the enterprise and within the vendor organization. Recruitment and especially retention problems in these roles can decrease the likelihood of controlling technical debt, and increase the likelihood of incurring technical debt. [Beardsell 2010] Julie Beardsell. “IT Backsourcing: is it the solution to innovation?”, SMC Working Paper Series, Issue: 02/2010, Swiss Management Center University, 2010. [Boehm 2016] Barry Boehm, Celia Chen, Kamonphop Srisopha, Reem Alfayez, and Lin Shiy. “Avoiding Non-Technical Sources of Software Maintenance Technical Debt,” USC Course notes, Fall 2016. [Delen 2007] Guus Delen. “Decision and Control Factors for IT-sourcing,” in Handbook of Network and System Administration , Jan Bergstra and Mark Burgess, eds., Boston: Elsevier, 929-946, 2007. [Kinkel 2016] Steffen Kinkel, Angela Jäger, Djerdj Horvath, and Bernhard Rieder. “The effects of in-house manufacturing and outsourcing on companies’ profits and productivity,” 23rd International Annual EurOMA Conference, At Trondheim, Volume: 23, June 2016. [Kusnet 2007] David Kusnet. “Highway Robbery II,” report of the National Association of State Highway and Transportation Unions (NASHTU). [Laplante 2007] Phillip A. Laplante. What Every Engineer Should Know About Software Engineering . New York: CRC Press, 2007. [Li 2015] Z. Li, P. Avgeriou, and P. Liang. “A systematic mapping study on technical debt and its management,” Journal of Systems and Software 101, 193-220, 2015. [Willcocks 2004] L. Willcocks, J. Hindle, D. Feeny, and M. Lacity. “IT and Business Process Outsourcing: The Knowledge Potential,” Information Systems Management 21:3, 7-15, 2004. Confirmation bias is a cognitive bias [Kahneman 2011]. It’s the human tendency to favor and seek only information that confirms our preconceptions, or to avoid information that disconfirms them. For example, the homogeneity of cable news channel audiences, and the alignment between preconceptions of the audience and the slant of the newscast for that channel, are results of confirmation bias. 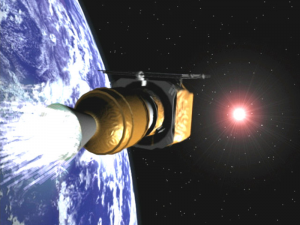 Computer-generated image of the third stage ignition, sending the Mars Climate Orbiter (MCO) to Mars in December, 1998. The spacecraft eventually broke up in the Martian atmosphere as a result of what is now often called the “metric mix-up.” The team at Lockheed Martin that constructed the spacecraft and wrote its software used Imperial units for computing thrust data. But the team at JPL that was responsible for flying the spacecraft was using metric units. The mix-up was discovered after the loss of the spacecraft by the investigation panel established by NASA. Confirmation bias causes technical debt by biasing the information on which decision makers base decisions involving technical debt. Most people in these roles have objectives they regard as having priority over eliminating technical debt. This causes them to bias their searches for information about technical debt in favor of information that would support directly the achievement of those primary objectives. They tend, for example, to discount warnings of technical debt issues, to underfund technical debt assessments, and to set aside advice regarding avoiding debt formation in current projects. For example, anyone determined to find reasons to be skeptical of the need to manage technical debt need only execute a few Google searches. Searching for there is no such thing as technical debt yields about 300,000 results at this writing; technical debt is a fraud about 1.6 million; and technical debt is a bad metaphor about 3.7 million. Compare this to technical debt which yields only 1.6 million. A skeptic wouldn’t even have to read any of these pages to come away convinced that technical debt is at best a controversial concept. This is, of course, specious reasoning, if it’s reasoning at all. But it does serve to illustrate the potential for confirmation bias to contribute to preventing or limiting rational management of technical debt. Detecting confirmation bias in oneself is extraordinarily difficult because confirmation bias causes us to (a) decide not to search for data that would reveal confirmation bias; and (b) if data somehow becomes available, to disregard or to seek alternative explanations for it if that data tends to confirm the existence of confirmation bias. Moreover, another cognitive bias known as the bias blind spot causes individuals to see the existence and effects of cognitive biases much more in others than in themselves [Pronin 2002]. Still, the enterprise would benefit from monitoring the possible existence and effects of confirmation bias in decisions with respect to allocating resources to managing technical debt. Whenever decisions are made, we must manage confirmation bias risk. [Kahneman 2011] Daniel Kahneman. Thinking, Fast and Slow. New York: Macmillan, 2011. [Pronin 2002] Emily Pronin, Daniel Y. Lin, and Lee Ross. “The bias blind spot: Perceptions of bias in self versus others.” Personality and Social Psychology Bulletin 28:3, 369-381, 2002. In a 1977 report, Daniel Kahneman and Amos Tversky identify one particular cognitive bias [Kahneman 2011], the planning fallacy, which afflicts planners [Kahneman 1977] [Kahneman 1979]. They discuss two types of information planners use. Singular information is specific to the case at hand; distributional information is drawn from similar past efforts. The planning fallacy is the tendency of planners to pay too little attention to distributional evidence and too much to singular evidence, even when the singular evidence is scanty or questionable. Failing to harvest lessons from the distributional evidence, which is inherently more diverse than singular evidence, the planners tend to underestimate cost and schedule. So for any given project, there’s an inherent tendency in human behavior to promise lower costs, faster delivery, and greater benefits than anyone can reasonably expect. 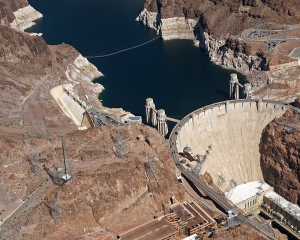 Aerial view of Hoover Dam, September 2017. Under construction from 1931 to 1936, the dam was built for $48.8M ($639M in 2016 dollars) under a fixed-price contract. It was completed two years ahead of schedule. Apparently the planning fallacy doesn’t act inevitably. 112 men died in incidents associated with its construction. 42 more died of a condition diagnosed as pneumonia, but which is now thought to have been carbon monoxide poisoning due to poor ventilation in the dam’s diversion tunnels during construction. There’s little doubt that unrealistic optimism affects not only projections of budget and schedule, but also projections of risks, including deaths. Photo (cc) Mariordo (Mario Roberto Durán Ortiz), courtesy Wikimedia Commons. But the problem is exacerbated by a dynamic described by Boehm et al. [Boehm 2016], who observe that because organizational resources are finite, project sponsors compete with each other for resources. They’re compelled by this competition to be unrealistically optimistic about their objectives, costs, and schedules. Although Boehm et al. call this mechanism the “Conspiracy of Optimism,” possibly facetiously, it isn’t actually a conspiracy. Rather, it’s a variant of the N-Person Prisoner’s Dilemma [Hamburger 1973]. Unrealistic optimism creates budget shortfalls and schedule pressures, both of which contribute to conditions favorable for creating non-strategic technical debt. And the kinds of technical debt produced by this mechanism, or any mechanism associated with schedule or budget pressure, tend to be subtle — they’re the types least likely to become evident in the short term. For example, technical debt that might make a particular kind of enhancement more difficult in the next project is more likely to appear than technical debt in the form of a copy of some code that should have been replaced by a utility routine. Copies of code are more easily discovered and more likely to be retired in the short term, if not in the current project. Awkward architecture might be more difficult to identify, and is therefore more likely to survive in the intermediate or long term. In other words, the forms of technical debt most likely to be generated are those that are the most benign in the short term, and which are therefore more likely to escape notice. If noticed, they’re more likely to be forgotten unless carefully documented, an action that’s unlikely to be taken under conditions of schedule and budget pressure. In this way, the non-strategic technical debt created as a result of unrealistic optimism is more likely than most technical debt to eventually become legacy technical debt. Policymakers can assist in addressing the consequences of unrealistic optimism by advocating for education about it. They can also advocate for changes in incentive structures and performance management systems to include organizational standards with respect to realism in promised benefits, costs, and schedules. [Kahneman 1977] Daniel Kahneman and Amos Tversky. “Intuitive Prediction: Biases and Corrective Procedures,” Technical Report PTR-1042-7746, Defense Advanced Research Projects Agency, June 1977. [Kahneman 1979] Daniel Kahneman and Amos Tversky, “Intuitive Prediction: Biases and Corrective Procedures,” Management Science 12, 313-327, 1979. Enterprise decision-makers affected by feature bias tend to harbor distorted views of the importance of new capability development compared to technical debt management. This tendency is likely due to the customer’s relative sensitivity to features, and relative lack of awareness of sustainability. Whatever the cause, customers tend to be more attracted to features than they are to indicators of sound technical debt management and other product sustainability practices. This tendency puts decision-makers at risk of feature bias: unbalanced concern for capability vs. sustainability. Alaska crude oil production 1990-2015. This chart [Yen 2015] displays Alaska crude oil produced and shipped through the Trans Alaska Pipeline System (TAPS) from 1990 to 2015. Production had dropped by 75% in that period, and the decline is projected to continue. In January 2018, in response to pressure from Alaskan government officials and the energy industry, the U.S. Congress passed legislation that opened the Arctic National Wildlife Refuge to oil exploration, despite the threat to ecological sustainability that exploration poses. If we regard TAPS as a feature of the U.S. energy production system, we can view its excess capacity as a source of feature bias bias, creating pressure on decision-makers to add features to the U.S. energy system instead of acting to enhance the sustainability of Alaskan and global environmental systems [Wight 2017]. Changes in cost accounting could mitigate some of this feature bias by projecting more accurately total MICs based on historical data and sound estimation. I’ll explore possible accounting changes later in this post, and in future posts; meanwhile, let’s explore the causes and consequences of the distorted perspective I call feature bias. For products or services offered for sale outside the enterprise, the sales and marketing functions of the enterprise represent the voice of the customer [Gaskin 1991]. But customers are generally unaware of product or service attributes that determine maintainability, extensibility, or cybersecurity — all factors that affect the MICs for technical debt. On the other hand, customers are acutely aware of capabilities — or missing or defective capabilities — in products or services. Customer comments and requests, therefore, are unbalanced in favor of capabilities as compared to maintainability, extensibility, cybersecurity, and other attributes related to sustainability. The sales and marketing functions tend to accurately transmit this unbalanced perspective to decision-makers and technologists. An analogous mechanism prevails with respect to infrastructure and the internal customers of that infrastructure. Internal customers tend to be more concerned with capabilities — and missing capabilities — than they are with sustainability of the processes and systems that deliver those capabilities. Thus, pressure from internal customers on the developers and maintainers of infrastructure elements tends to emphasize capability at the expense of sustainability. The result of this imbalance is pressure to allocate excessive resources to capability enhancement, compared to activities that improve maintainability, extensibility, or cybersecurity, and which therefore would aid in controlling or reducing technical debt and its MICs. Nor is this the only consequence of feature bias. It provides unrelenting pressure for increasing numbers of features, despite the threats to architectural coherence and overall usability that such “featuritis” or “featurism” present. Featurism leads, ultimately, to feature bloat, and to difficulties for users, who can’t find what they need among the clutter of features that are often too numerous to document. For example, in Microsoft Word, many users are unaware that Shift+F5 moves the insertion point and cursor to the point in the active document that was last edited, even if the document has just been freshly loaded into Word. Useful, but obscure. Feature bias, it must be noted, is subject to biases itself. The existing array of features appeals to a certain subset of all potential customers. Because it is that subset that’s most likely to request repair of existing features, or to suggest additional features, the pressure for features tends to be biased in favor of the needs of the most vociferous segments of the existing user base. That is, systems experience pressure to evolve to better meet the needs of existing users, in preference to meeting the needs of other stakeholders or potential stakeholders who might be even more important to the enterprise than are the existing users. This bias in feature bias presents another risk that can affect decision-makers. Organizations can take steps to mitigate the risk of feature bias. An example of such a measure might be the use of focus groups to study how education in sustainability issues affects customers’ perspectives relative to feature bias. Educating decision makers about feature bias can also reduce this risk. At the enterprise scale, awareness of feature bias would be helpful, but awareness alone is unlikely to counter its detrimental effects, which include underfunding of technical debt management efforts. Eliminating the source of feature bias is extraordinarily difficult, because customers and potential customers aren’t subject to enterprise policy. Feature bias and feature bias bias are therefore givens. To mitigate the effects of feature bias, we must adopt policies that compel decision-makers to consider the need to deal with technical debt. One possible corrective action might be improvement of accounting practices for MICs, based, in part, on historical data. For example, since there’s a high probability that any project might produce new technical debt, it might be prudent to fund the retirement of that debt, in the form of reserves, when we fund the project. And if we know that a project has encountered some newly recognized form of technical debt, it might be prudent to reserve resources to retire that debt as soon as possible. Ideas such as these can rationalize resource allocations with respect to technical debt. These two examples illustrate what’s necessary if we want to mitigate the effects of feature bias. They also illustrate just how difficult such a task will be. [Gaskin 1991] Steven P. Gaskin, Abbie Griffin, John R. Hauser, Gerald M. Katz, and Robert L. Klein. “Voice of the Customer,” Marketing Science 12:1, 1-27, 1991. [Wight 2017] Philip Wight. “How the Alaska Pipeline Is Fueling the Push to Drill in the Arctic Refuge,” YaleE360 , Yale School of Forestry & Environmental Studies, November 16, 2017. [Yen 2015] Terry Yen, Laura Singer. “Oil exploration in the U.S. Arctic continues despite current price environment,” Today in Energy blog, U.S. Energy Information Administration, June 12, 2015. Available: here; Retrieved: February 8, 2018. When we try to understand the behavior of others, we often make a particularly human mistake. We tend to attribute too much to character and disposition and too little to situation and context. This mistake is so common that it has a name: The Fundamental Attribution Error (FAE) (See “The Fundamental Attribution Error” at my other blog). And although little experimental data is available regarding its effects on technical debt, we can plausibly argue that its effects are significant — and unwelcome. The FAE contributes to technical debt in at least two ways. First, it distorts assessments by non-engineers of the motivations of engineers as they warn of future difficulties arising from accumulating technical debt. Second, it distorts assessments by engineers of the motivations of non-engineers as they oppose allocation of resources to technical debt retirement efforts in order to conserve resources for their own efforts or to accelerate efforts in which they have more immediate interest. The two effects are symmetrical in the large, though not in detail. Below is a description of the effects of the FAE on engineers and non-engineers, some of whom are the internal customers of the engineers. Let’s examine the effects of the FAE that are precipitated by three different claims or positions of the parties to the exchange. This is a position often held by engineers or their managers. Engineers notice incidents in which some of the work they must perform on an asset would be much easier or even unnecessary were it not for the technical debt that the asset carries. They sense the burden of the extra effort because they know how much easier and faster the work would be if they could retire the debt. The internal customers of engineers don’t see these circumstances as clearly as engineers (and their managers) do. Consequently, they tend to discount engineers’ claims of depressed productivity. Some experience engineers’ complaints, requests, and warnings as whining, self-serving nest feathering, or worse. They tend to attribute engineers’ complaints to faults in the character or “work ethic” of engineers. This is a suggestion often put forth by senior managers or the engineers’ internal customers. The internal customers of engineers have pressing needs for immediate engineering results. They see new products or repairs to existing products as a means of achieving the objectives the enterprise sets. Focusing limited engineering resources on technical debt retirement conflicts with producing results that would help internal customers of engineers meet these more immediate objectives. As a compromise, non-engineers propose that engineers document instances of technical debt as they find them, so that they can be addressed more efficiently after engineers meet the immediate needs of internal customers. Engineers discount the validity of this approach for three reasons. First, they don’t experience the pressures their internal customers do. To engineers, their customers’ reports of more pressing needs seem to be merely excuses to get what they want when they want it. Second, the proposed documentation work doesn’t advance the engineers’ customer’s current project toward its objectives. Instead, it actually delays the current project, even though non-engineers aren’t aware of the extent of this effect. These delays induce increases in schedule pressure — and therefore technical debt — because the customer of the current project rarely cares enough about the technical debt documentation effort to allow for the extra time it takes. Finally, because many assets evolve continuously, such documentation has a very short shelf life, which limits its value in ways non-engineers might not appreciate. In these ways, the FAE both creates the documentation suggestion, and limits the ability of engineers to appreciate its motivation, while it also limits the ability of non-engineers to appreciate how limited the value of the documentation is. Senior managers or the engineers’ internal customers are most common among adherents of this belief. When the engineering organization presents a business case for investing time and resources in addressing technical debt issues, other functions in the enterprise also make business cases of their own. Too often, these cases are evaluated against each other. Investment in one entails reduced investment in another. And since the benefits of technical debt retirement tend to become most visible to non-engineers much later than do the benefits of some other proposals, technical debt retirement projects tend perhaps more often than most to be deferred at best, or, often, rejected. The FAE is in part responsible for the perception of non-engineers that the benefits of technical debt remediation arrive in the distant future. Engineers notice the benefits relatively immediately, because they interact with the rehabilitated assets on a daily basis. Since non-engineers don’t have these experiences, they notice the benefits only upon delivery of the results of engineering work. This mismatch of the timescales of perceptions of engineers and non-engineers prevents non-engineers from perceiving what is in daily evidence to engineers. Both engineers and non-engineers are subject to deadlines and resource limitations beyond their control. Their ability to appreciate the challenges their counterparts face is the key to effective collaboration. Too often, neither part feels that it has the time or resources to accommodate the needs of the other.